Last night's episode of Looking, airing now on HBO in its second season, tackled the issue of Gordon Freeman's enduring Half-Life legacy. Is he a character, or merely a construct? 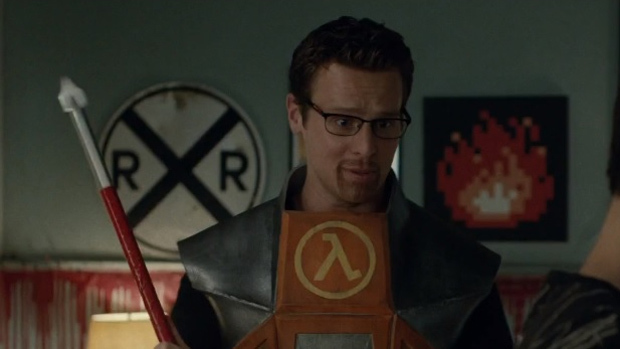 Preparing for a Halloween party, series star Jonathan Groff dons his Gordon Freeman costume, much to the chagrin of his friend Agustín who asks "what are you supposed to be, a mailman from the future?" 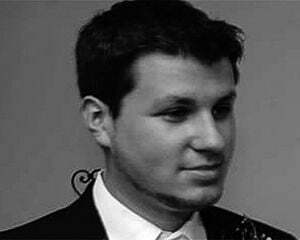 Groff, who plays game developer Patrick in the show, retorts, "No! He's one of the most popular videogame characters of all time. He revolutionized first-person shooter games because you so rarely saw or heard him that you could better imagine yourself in the game." "So your idea of being fun is a character with so little personality that he's basically nothing?"